Falling debris is one of the leading causes of injury on construction sites. It’s so common, in fact, that the Occupational Health and Safety Administration has dubbed it one of the industry’s “Fatal Four.” Workers struck by a falling object is the second leading cause of death in construction, and many of these injuries are preventable. 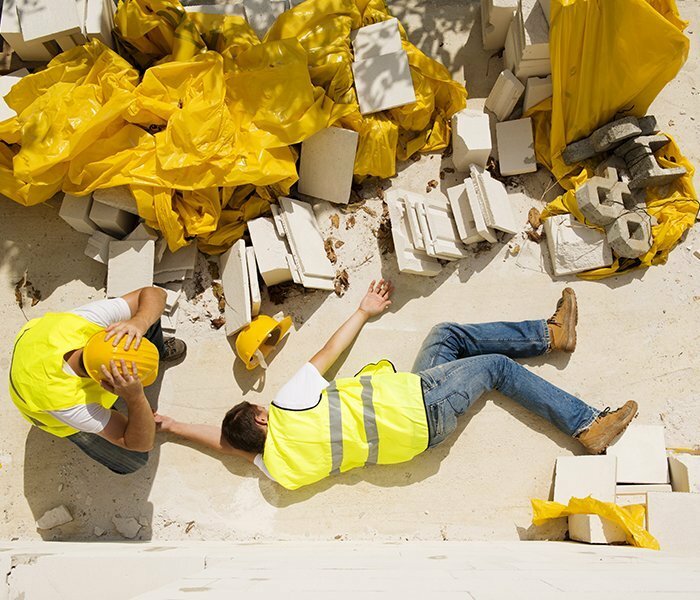 If you or a loved one experienced a serious injury or suffered harm after an object struck you on a construction site, the law may entitle you to compensation for your injuries. Hiring a New York City construction site injury attorney as soon as possible is essential for protecting your rights and getting you the compensation you deserve. Report the injury to your employer. The law sets time limits for reporting an occupational injury, usually 30 days. However, it’s in your best interest to tell your employer about your injuries as soon as possible. Seek medical treatment. Ask your employer if you need to see an in-network provider. If not, you can see your own doctor. Ask for copies of your medical records to forward to your personal injury attorney. Schedule your free initial consultation. While you may not be able to sue your employer for negligence, there may be other factors at play. The lawyers at Frekhtman & Associates can help you explore your legal options and get the compensation you deserve for your injuries. A worker improperly stacks materials. A subcontractor drops materials or machinery. Failure to follow established safety standards. Failure to warn of dangers. Breakdown or collapse of scaffolding or other structures. Injuries from falling debris can be serious and require intensive medical treatment and care. Workers may experience bruising, lacerations, broken bones, brain injury, concussions, damage to the neck or spinal cord, and more. The injuries you sustain in a construction site accident can be serious and put you out of work for long periods of time. Since workers’ compensation benefits only cover a portion of your salary, you may find it difficult to make ends meet. A personal injury claim can help you find compensation for the full extent of your damages, including intangible losses such as pain and suffering. For more information on our services or to schedule a free initial consultation with our firm, please contact us.